Anna Kennedy, OBE who is a campaigner for autism will speak at the SEND crisis national March, where she will be one of the representatives for London. Anna Kennedy’s experience of speaking with parents on a daily basis through social media and through her autism charity AnnaKennedyOnline has led her to join and speak at the march. 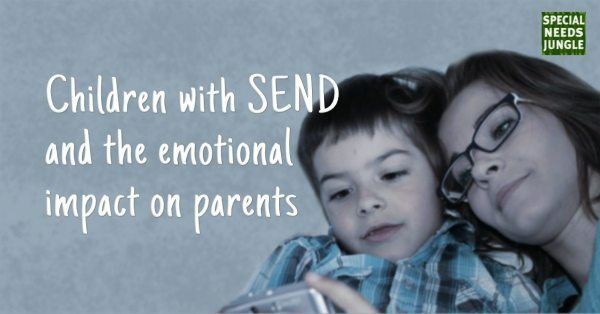 Parents and carers who are struggling and are frustrated with the SEND system currently in place. Parents who do not believe that this current system is providing fair and equal accessibility for their children, as was promised. Parents from across the country who feel that the current legislative framework surrounding SEND, is not fit for purpose and appears to be designed in such a way to avoid putting in place the required provisions to support their children receive an education to meet their needs. Anna Kennedy is inviting you to share and sign Nadia Turks’s petition which will be handed into 10 Downing Street on 30th May. This nationwide protest is being organised SEND Crisis to take place on 30th May. 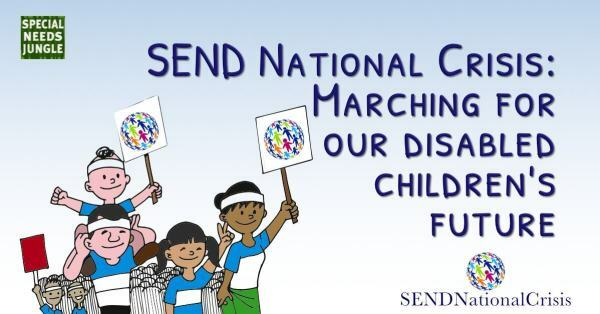 This march aims to highlight a range of SEND issues. There are also planned marches across the UK on 30th May to raise awareness of failings to those with SEND, their families and education providers who are expected to provide an appropriate education on continuous budget cuts. Everyone is invited – parents, carers , young people , school staff, among others – to support the march in London. You are also invited to follow the SEND National Crisis Facebook Page. ‘We live in a society that neglects its children with SEND. Instead of supporting and nurturing SEND students so that they can fulfil their potential, our politicians have eviscerated their support services and created a climate that encourages and rewards schools that deny SEND students a place at their school and that exclude SEND students. Click here to read the article by Nadia and Poppy last week who are organising parent-power marches to protest the lack of funding for SEND. It won’t be just parents taking to the streets. Young disabled people like myself are the ones suffering and we demand to be heard too! We’ve written many posts here on SNJ about the funding crisis. Renata and I also joined the NEU organised event at the back end of last year. And as the days tick down toward the Government’s long awaited spending review, it’s more important than ever to show how you feel. The reforms were designed to end the adversarial system that all-too-often sees parents at loggerheads with local authorities over SEND provision. But the new 0-25 system that covered education, health and social care provision was never likely to come cheap. And doing it in a holistic way that included culture change was always going to be more than the cost of changing the nuts and bolts. But the government’s abject failure to foresee the true cost of implementation, coupled with its leadership deciding that austerity was best visited on the vulnerable, have heaped chaos, pain and misery on the very families they purported to help. This morally bankrupt, seemingly psychopathic, Brexit-obsessed Government (if you can still call it a Government) is daily harming the life chances of a generation of children to whom it promised a brighter future. Our disabled children have become collateral damage to a broken ideology. We met Poppy Rose, one of the leaders of the SEND Crisis group at that same NEU event. She’s here today with her co-organiser, Nadia Turki, to jointly tell you all about the marches and why they’re taking action on 30th May. Nadi Turki: It’s 2019 and in a time of austerity, people have come together to fight for what’s right and for the greater good. In 2019 we can develop gene-targeted therapies to alter outcomes of congenital diseases and even manipulate the human mind. Yet, today we have thousands of parents and carers in this beautiful, bright country, fighting for a fair education for disabled children and young people. Why? Because their / our children do not fit the normal criteria for accessing education. Some of the greatest minds in human history have been in some way different. Einstein – Asperger’s, Stephen Hawking – Amyotrophic Lateral Sclerosis, Andrea Bocelli – Congenital Glaucoma, John Nash – Acute Paranoid Schizophrenia. The list really is endless. So why is there an open discrimination towards disabled learners? Why are they disregarded in terms of their abilities? Don’t get me wrong, this is not the trend throughout the country. I have spent time with so many professionals that fight for the rights of these groups and support our fight for equality. However, there continues to be a lapse of support and assessment for this group resulting in tens of thousands of children and young people being left without an appropriate education. In some cases, left without any form of education or even worse; left within an education establishment that is unable to cater for their needs. The latter resulting in some very damaging mental health, trust and confidence issues. I am one of the parents that believes that this current system isn’t providing fair and equal accessibility for all. I believe, or should I say ‘evidence shows’, that the current legislative framework surrounding SEND, has more holes that a fish net and is allowing local policies to avoid and tactically refuse the correct or required provisions for children across the country. My name is Nadia Turki and I have three children. My eldest child was born with bi-lateral Peters Anomaly and was blind from birth. He does have a very limited level of light dark perception and has a number of other related congenital conditions such as hypo-posterior pituitary and hypermobility. From day one, we have been lucky enough to have an amazing team of medical professions managing my son’s constant medical intervention, however his education and social development have been a different matter altogether. My son has amazing support in school and has always built very strong relationships with his teachers and VI support. The struggle for inclusive education has been relative to our desire to have a balance of social development. We desired a local Secondary school to enable him to establish local friends and were told that this would not happen as a different Secondary school had already been set up with a provision to accommodate visually impaired students. This was an ongoing battle that we unfortunately lost, and although my son is happy at school, he lacks any level of social life that doesn’t rely on his parents’ input and transport etc. So this was why I started to look at the current SEND structure and legislation. I quickly realised that it is flawed and that thousands of children and young people were not being provided with correct or adequate education provisions… HEY PRESTO, @SENDNationalCrisis was born! I am a single parent to two boys aged 19 and 14. My youngest son had early diagnoses of Dyspraxia, Hypermobility, Severe Sensory Processing Disorder, Global Developmental Delay, and Sleep Difficulties. He received further diagnoses of ASD and Severe Anxiety aged 12. My son attended a mainstream primary school where his needs were managed. Early intervention and adequate support enabled him to achieve Level 5 SATS results. Although he was progressing academically, there were concerns that the transition to secondary would be difficult for him and he would struggle with the environment and general pace of mainstream secondary education without an EHCP. My son started a mainstream secondary placement and the difficulties became apparent very quickly. Aged 12, his anxiety became so severe that he was suicidal. He was so socially anxious that he was deemed too unwell and signed off from school medically by CAMHS, who actually stated that lack of support at school was the reason for my son’s ill health. I made a parental request for an EHCP and so the battle began! I spent hours reading the SEND Code of Practice and the Children and Families Act. Social media parent groups were my absolute lifeline. I began chatting with Nadia through one of these groups and although the distance between is hundreds of miles, we became good friends and SendNationalCrisis was formed. In just a few weeks, the group had gained thousands of members showing the true extent of a clearly flawed system. We have seen severe cuts; the largest in generations to education, health and social care budgets. Highly vulnerable children are being denied crucial services and provision. We find ourselves in a process that is mentally, physically, emotionally, and financially draining. We are seeing loss of employment, remortgaging of homes, families and relationships destroyed, severe mental health crises, suicide even. All to ensure our children have their needs met and the support they are not only entitled to, but that they actually need. The current SEND Code of Practice is nothing but an empty promise, whilst there is no accountability for the direct failings and discrimination we face trying to access our children’s fundamental right to education. We believe the current SEND Reforms 2014, are not effective and should be evaluated with parent/carer consultation. I once heard, ‘You can fiddle with the engine, shout at the mechanics, pour money down the drain, service after service, but if the machine’s broken, it’s broken!’ We don’t need more tinkering with the old system, we need a new system! Until there is a culture change, all the money in the world won’t change a thing! 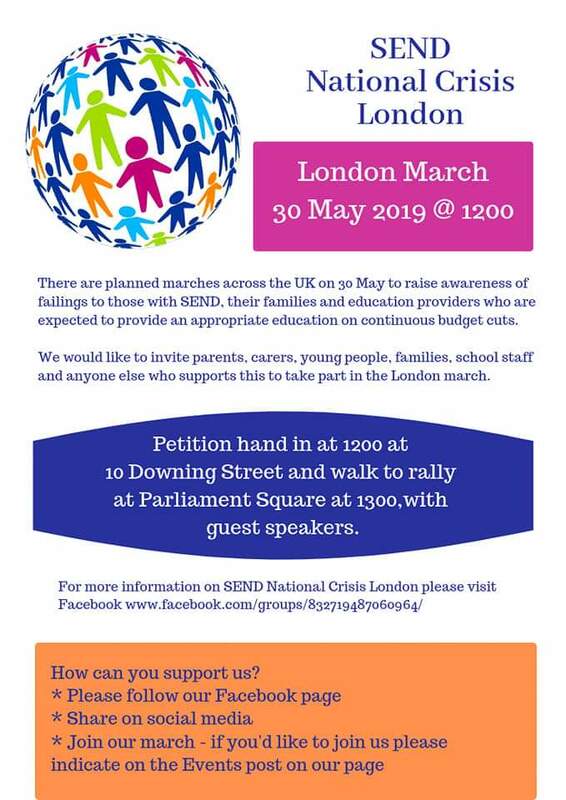 There are planned marches rallies and family events across the UK on the 30th May to raise awareness of failings to those with SEND, their families, and education settings who are expected to provide an adequate education on continuous budget cuts. We would like to invite parents, carers, young people, families, school staff and anyone else who supports this to take part in their local event. I recently came across a research article in the British Journal of Special Education entitled, Children with SEND and the emotional impact on parents by John Holland with Gabriella Pell, so it immediately grabbed my attention, as you can imagine. The article itself is locked behind a paywall, but I got in touch with the authors to ask if they would like to write an article about their research for us. While of course, the experiences here will be well known to our parent readers, I think it’s a useful piece of research for professionals, especially those who are seeking to influence their senior managers to be more holistic in their support. I’m sure parents will be keen to pass it on too! We are currently gathering data for a third project and if you are the parent or carer of a child with an SEND we would love to hear your views and experiences. If you would like to be involved, please kindly complete the questionnaire available at this link. The questionnaire should take no longer than 15 minutes to complete. The information collected is anonymous and will be used to create further guidance on how to better support parents and carers. Ofsted’s draft Education Inspection Framework and School Inspection Handbook are currently out for consultation. An Ofsted inspection is a critical moment in the life of any school and the framework and handbook themselves act as drivers both for school improvement and prioritising development. 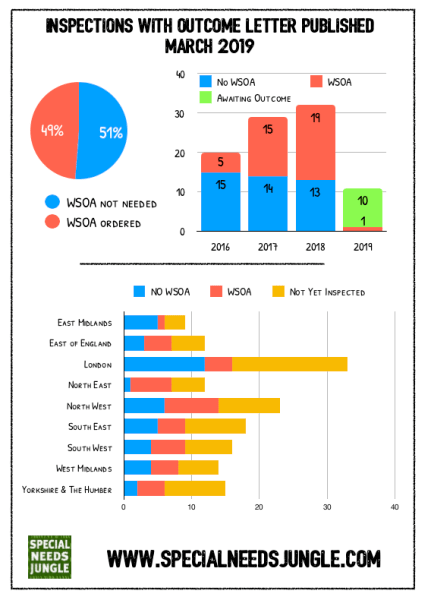 Under the previous framework it was possible for schools to receive a good inspection outcome and yet not be doing particularly well for their pupils with SEND. How did these concerns play out in the draft EIF? The EIF applies to all education institutions and particular attention has been paid to its impact on SEND. The EIF consultation document is pretty limited in terms of specific mentions of SEND; the document is 35 pages long and contains only two references to SEND (pages 15 and 24). There are 11 proposals that are being consulted upon. 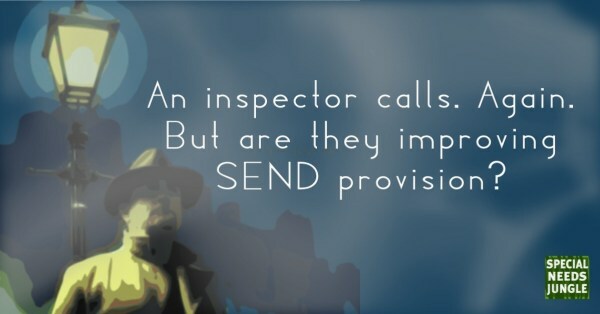 It is possible to comment on SEND in some of the proposals and on page 20 there is an opportunity to comment on the draft school inspection handbook which we shall come to shortly (and upon which there is much to say about SEND). An important aspiration is expressed on page.10: ‘We want inspection to contribute to an inclusive education system that can accommodate, and cater for, the needs of all learners of all ages.’ If it is going to do that, then we can reasonably expect some pretty clear statements in the body of the inspection handbook. Let’s turn first however to the important ‘EIF 2019 Equality, diversity and inclusion statement’, which we should expect to be very strong in the area of SEND – and it is! 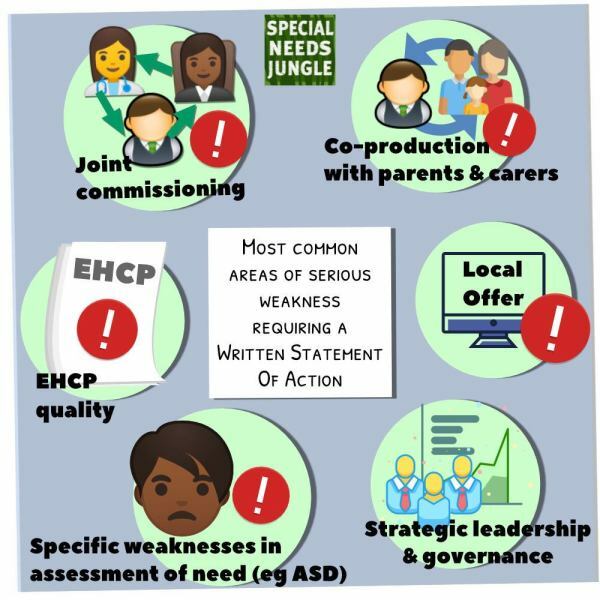 There are some strong comments around mainstream schools that have a high proportion of learners, the curriculum for learners with SEND being amended to meet their needs in accordance with requirements of the Equality Act 2010 to make ‘reasonable adjustments’. There is a very significant statement repeated twice (in slightly different ways) in short space in the section on SEND (pp.6-7); ‘Ofsted intends to be a force for improving the education available for all learners with SEND’. Wow! What a powerful statement of intent that is! The only way we can judge whether the intent in the Equality, diversity and inclusion statement is being implemented in the actual inspection handbook is to look for references in these five sections and the grade descriptors for them. I’ll give advance warning now that the implementation is patchy. This section has one powerful statement on SEND but nothing in the grade descriptors. The statement occurs in para. 153; ‘Before making the final judgement on overall effectiveness, inspectors must consider the spiritual, moral, social and cultural development of pupils at the school, and evaluate the extent to which the school’s education provision meets different pupils’ needs, including pupils with SEND.’ If this statement is carried through in the inspection process then it could have real impact. It would have been nice to see something on inclusion in the grade descriptors. In a recent article my colleague Adam Boddison of Nasen, called for a strengthening of this section in this way. This section is relatively strong; containing three statements on SEND (paras. 154,157,177) and a further five within the grade descriptors. Within the outstanding grade descriptor is a requirement that ‘Pupils with SEND achieve the best possible outcomes.’ Within the good grade descriptors leaders must, ‘construct a curriculum to give all pupils…including pupils with SEND the knowledge and cultural capital they need to succeed in life’. Within the inadequate grade descriptors, ‘pupils do not benefit from a good quality education. Staff expectations of them are low, and their needs are not accurately identified and/or being met.’ This last statement emphasises accurate identification that is proving such a hot area of debate in all my discussions with schools. I think there are issues nationally in terms of how reasonable adjustments are made regarding the implementation of school behaviour policies (particularly in secondary schools) for children with SEND and where leaders do not have sufficient regard for paras 6.21-6.22 of the SEN Code of Practice. It is this that is contributing to higher exclusions for children with SEND. I would therefore have liked to have seen a much stronger statement about this in the handbook and certainly something in the grade descriptors. I believe both Behaviour and Attitudes and Personal Development require strengthening in the grade descriptors by referencing the needs of learners with SEND. There are two comments on SEND (paras. 229 and 234) but nothing in the grade descriptors. It is particularly disappointing that there is nothing on the leadership of SEND in schools as this is such a key area. By strengthening this section of the handbook the requirements to lead SEND provision more effectively and achieve Ofsted’s intention of ‘being a force for good’ for SEND would have more impact. If we turn to paras. 293 to 295* we see some very strong comments about how all leaders (not just SENCOs) should lead for learners with SEND. I would like to see these comments moved to the leadership and management section of the handbook and reflected in the grade descriptors. *SEMH is missing from para 294 – I am hoping that this is just an oversight, but coupled with the weaker Behaviour and Attitudes and Personal Development sections, it’s a worrying omission. 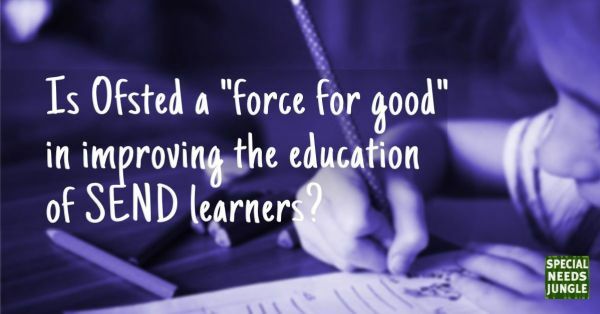 So, is Ofsted a force for good in SEND? Let’s come back to the original statement by Ofsted that it intends to be ‘a force for good for improving the education available for learners with SEND’. My view is that there is much to commend in the consultation documents but there is still much to improve. The Education, diversity and inclusion statement is very strong and the sections in the inspection handbook for ‘overall effectiveness’ and ‘quality of education’ are generally positive. After that it is somewhat weaker in the ways I have described. The consultation is open until 5th April. I shall be giving my feedback and I hope this article will give others interested in improving the education of children with SEND some further ideas about how they might also feed back their views. I do believe Ofsted are listening, so let’s take the chance to respond. Families across the country are taking the government to the High Court to challenge its special education needs (“SEND”) funding policy which has created a ‘national scandal’. Campaigners believe that current government grants are leaving councils across the country without enough money to fulfil their legal obligation of providing education for pupils with a range of disabilities and conditions. 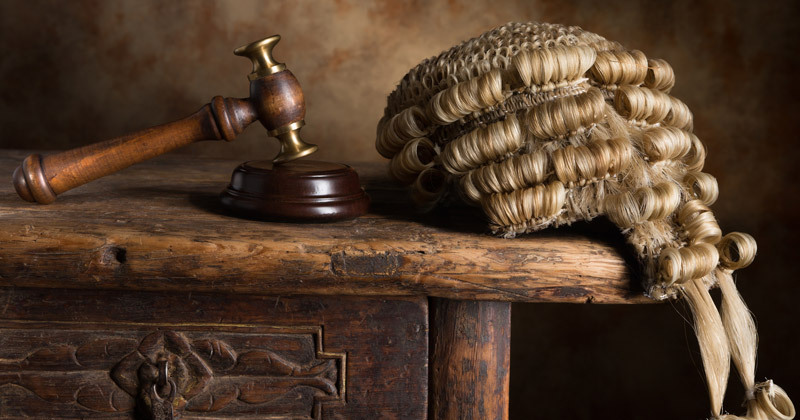 Families from North Yorkshire, Birmingham and East Sussex instructed specialist lawyers at Irwin Mitchell to issue a Judicial Review into the legality of how the government provides funding to local authorities. A Judge has considered extensive submissions and evidence and has now ordered that the case needs to be heard at a full two-day hearing in the High Court, listed for 26 and 27 June. The decision comes at a time when several local authorities are also facing legal challenges to their cuts to SEND budgets. “How special education needs services are funded is an issue which is continuing to snowball. This is especially the case at a time when many local authorities are setting their budgets for the next financial year in the face of continued budget cuts. The judicial review will examine whether the government’s current level of funding for SEND is lawful. If the High Court finds that the government is acting unlawfully, the government would be forced to rethink its approach to funding for SEND. Judicial reviews to decide the legality of Surrey County Council’s and Hackney Council’s decisions to reduce their SEND budgets have been heard with decisions due shortly. Nico’s mum, Lorraine Heugh, 57, said: We are not asking for any special treatment, all we want is for Nico and others with SEND to be given the same opportunities as other children. Nico is at an important time in his education and yet it just seems like we have to be locked in a constant fight for what he deserves. “Nico should be allowed to decide if he wants to remain in education, find a job or an apprenticeship after his exams, however, we fear that he is not going to be given the opportunity to decide what path he wants to take. The 14-year-old from Scarborough, North Yorkshire, was refused an education healthcare assessment by North Yorkshire County Council because the local authority said he did not meet its criteria for having special educational needs. The family appealed the refusal and last year North Yorkshire County Council agreed to assess Benedict for an EHCP. His mum Kirsty, 40, a full time carer for her children, said: “Sadly the government seems totally oblivious to the national crisis it has created. 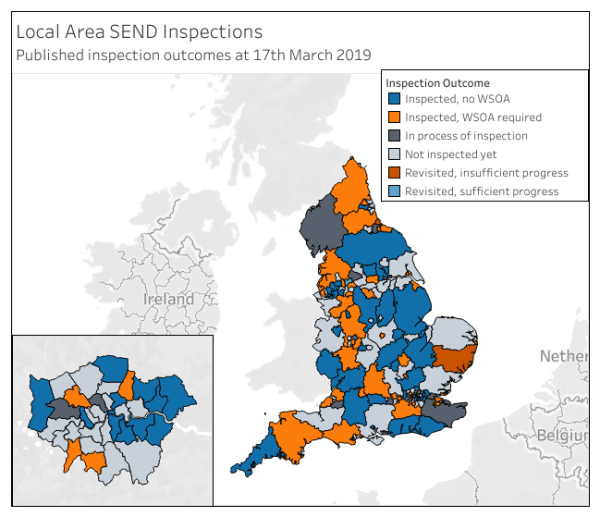 You only have to see the number of councils across different parts of the country that are all struggling to fund SEND services to see the current situation is not working. “The next few years are going to be key in determining Ben’s life chances but yet we have to find ourselves in this situation fighting every step of the way for a basic education. However, she now requires a SEN school. The EHCP was not updated for three years despite a significant increase in the care and support she needed. Mary, 35, said: “Dakota’s school and her teachers are doing the best they can in difficult circumstances but the current situation means she is not receiving the support and education she deserves. If the current situation is allowed to slide Dakota and thousands of other children are going to suffer. “All children regardless of their needs deserve the best education possible and this is not happening.